Irene R. Harrington, one of seven children was born to Katherine (Amen) and William Clifford Staley at Council Bluffs, Iowa. She departed this life on Thursday, February 7, 2019 at the Heritage Care Center in Red Cloud at the age of 89 years, 8 months and 20 days. Irene received her formal education attending and graduating from the Red Cloud schools. She was united in marriage with Robert D. Harrington on February 3, 1946 at Mankato, Kansas. They lived at Golden, Colorado until 1978, when they retired and moved to Red Cloud to make their home. Her husband, Bob, preceded her in death in January 1997. 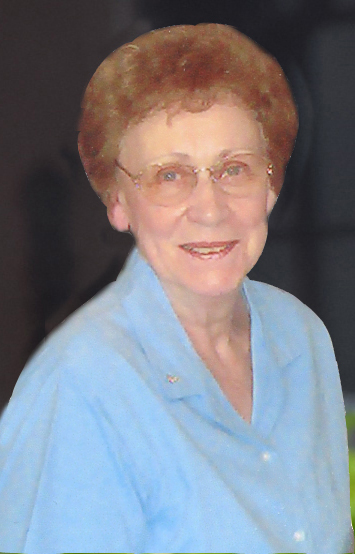 Irene was a member of the First United Methodist Church in Red Cloud. Surviving are a son, Mike Harrington; daughter, Leah Struck; 3 grandchildren, 5 great grandchildren, 10 great-great grandchildren; other relatives and friends. Irene's wishes were to be cremated. Graveside services and inurnment will be Saturday, 11:00 a.m., May 25, 2019 at the Red Cloud Cemetery with the Reverend Warren Schoming officiating. There's still time to send flowers to the Graveside Service at the Red Cloud Cemetery at 11:00 AM on May 25, 2019.